Innokin with the collaboration of Phil Busardo and Dimitris Agrafiotis, features the Ares MTL RTA, a two post single terminal build deck, a smoked glass tank section, and a convenient push to open top fill design. The Ares RTA's ability to produce immense flavour and vapour production stems from its core, a rounded bell chamber for an easy fill, smooth flavour, and reduced air turbulence. The air port diffuser distributes the air evenly through the coils ensuring the air travels to the top of the bell through the reduced chimney design for the perfect flavour and throat hit. 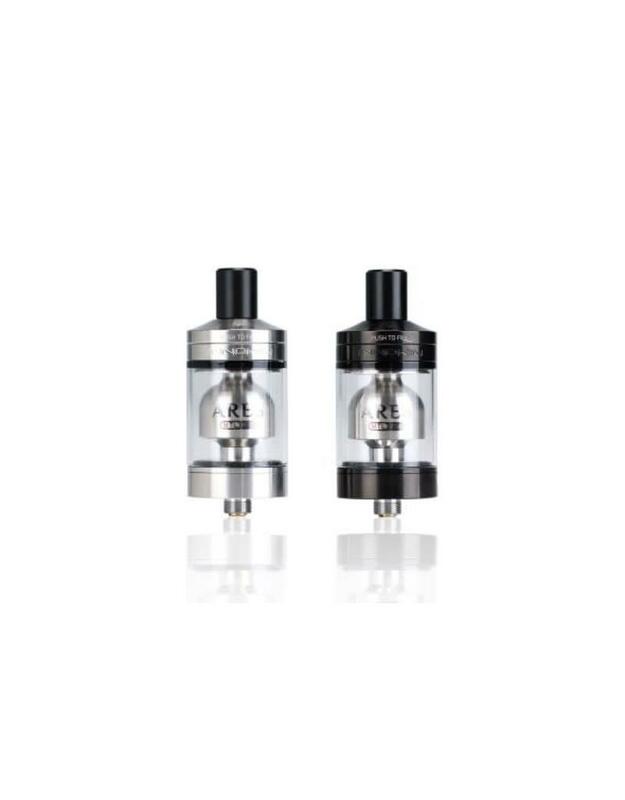 The Ares comes as a 4ml compact tank system which can be switched out for a smoked glass section. Juice enters the Ares through a push to open top fill for convenience and ease of use. 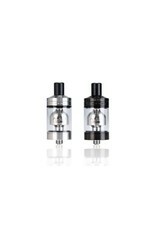 The Ares utilizes either a wide bore drip tip or a narrowed bore drip tip. Beautifully constructed, precision machined, and packing in the most intuitive and effective airflow systems across any atomizer today, Innokin's Ares MTL RTA enters the market as a strong mouth-to-lung RTA that boasts great flavour and convenience.